Will you switch banks to get more benefits? The top benefits that will convince consumers to switch banks! A huge thank you to all our community members for helping the ConsultaPanel Team! Earlier this year, 404 community members helped ConsultaPanel to better understand what type of benefits will motivate clients to switch banks. Your opinion has brought forward valuable information for the banking industry in South Africa. Let's recap! The expected outcome of this study was to have a deeper understanding into the reasons why clients would change banks, when they stand to gain specific benefits (like reduced interest rates and added value). As promised, we have summarised the results for you. Interestingly enough, the majority of the community members are quite loyal to their current main bank, indicating that it would be difficult for other banks to "steal" clients from competitors purely based on additional benefits. Only 4% of the community members rated a competing bank higher than their current main bank - indicating that the competing bank is more attractive to them, making it more likely to switch. Even though Community members are more loyal towards their current main bank, 47% have switched banks before. 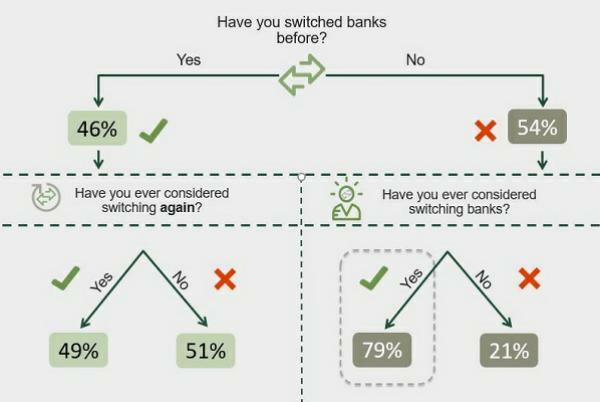 Surprisingly, 79% of community members who has never switched before have considered to switch banks in the past. The question now is, what will make them actually switch banks? The two main factors that will influence their switching behavior are not benefits but rather price and service delivery. 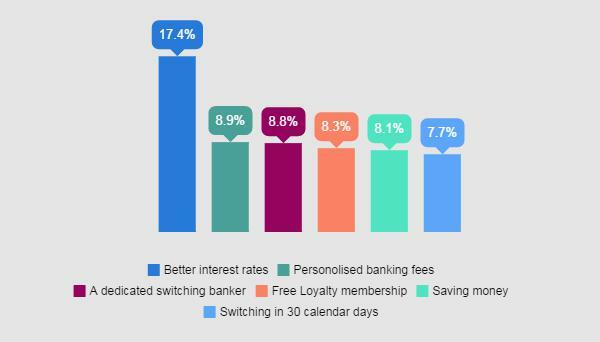 The top 6 benefits, as shown in the graph below, are linked to making banking easier and cheaper for clients. In conclusion: we found that if banks ensure that they can give clients the best possible products at the best possible price, delivering excellent services and making banking easy, clients will be more willing to switch to their brand. Failing to do so will result in lost clients, maybe for good! We expect to see some change from one of the major banks, now armed with this information! So, will you switch banks to get more benefits? To read more articles like this, have a look here!